Lady Luck has waved her magic wand for me times without number. 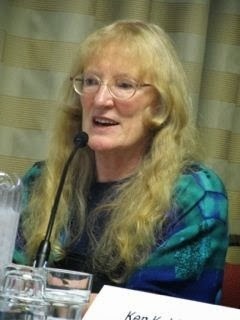 Without her aid, I would not have become a multi-(61 books and counting)-published author. It was sheer chance that my first manuscript landed on the desk of an editor who not only liked it but had a space on her list for it. If it hadn’t sold, I would not have persevered, never having had a burning desire to be a writer. I wrote it to postpone having to go out and look for a “proper” job. At about the same time, my ex and I split up and I needed to start seriously making a living. Just then, luckily, Harlequin restarted their defunct Regency line; I met a senior editor at an RWA conference; she had heard my name from their new Regency editor, who was a fan of mine; and they were actively looking for manuscripts. For a while, just when I needed the work, I was writing four books a year, for two publishers. 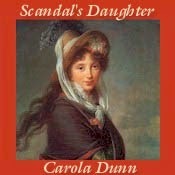 The most surprising bit of luck I had was when I wrote Scandal’s Daughter. I sold it to Zebra on the basis of two short paragraphs: a sentence or two about the heroine, the same for the hero, and that they’d travel together from Istanbul to England. As I was writing it, it turned into a sort of Regency Perils of Pauline. At the end of nearly every chapter, my hero and heroine were in dire peril. I rescued them at the beginning of the next chapter, from Greek bandits, Turkish soldiers, Barbary pirates, French troops, a snowstorm in the mountains, and many another deadly danger. Just before I finished it, my editor left the company and I had to send this very untrad Regency to a new editor who knew nothing about it and with whom I’d never worked. I was sure she’d hate it. She not only loved it, she suggested a couple of scenes that I’d meant to write but somehow hadn’t fitted in! Talk about being on the same wavelength. And talking about editors who come and go, I’ve seen the careers of friends derail because the editor who loved their work moved on and for one reason or another couldn’t take them along. The best luck of my career is having a mystery editor who has stayed. He bought my first mystery, Death at Wentwater Court in 1993, and 22 years later he’s still at the same publisher and still buying my work, the most recent being Superfluous Women, with a couple more on the way. What a lovely article. Great achievements! I love the anecdote about the monkey! Congratulations on your achievements, Carola. As for moi, let me start by saying I lead a blessed life ... all is good with Homey and the universe ... that said, when it comes to writing accomplishments, I'd have to say Lady Luck has been a little standoffish ... maybe my social skills are lacking ... or maybe deodorant has given out ... but she seems to be giving me a wide berth. If you had given up, a lot of readers would have been denied the pleasure of reading those 61 books! I'd say lady luck shined on your fans too. I was going to say something similar to Diana. Lady Luck might have had a hand, but Talent, Imagination, and Pure Storytelling helped it along. Brava to you, Carola. Wonderful accomplishments. I'm sure it was more than just luck though being in the right place at the right time may have helped. Writing that many books is hard work. Congrats on your success. 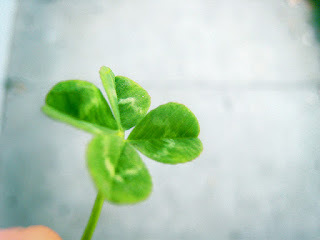 Yes, it was more than just luck, but luck was a sine qua non.